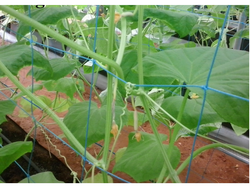 Prominent & Leading Manufacturer from Coimbatore, we offer climbing plant support mesh, climbing plant supporting net, plant supporting net and plant climbing net. Our Climbing Plant Support Mesh is manufactured keeping in mind the customers' requirements. Available in various lengths, dimensions and designs, these nets are mostly used in construction industry for covering outer walls of buildings. 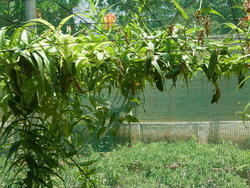 The offered Climbing Plant Supporting Net is available in the market in bulk. Further, clients can avail the offered products from us at market leading price. We are offering this Net to customers in various sizes. Further, we strive hard to satisfy the clients in all manners. 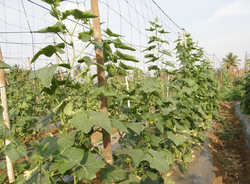 Agro Shade Net is appreciated all across the world due to its good quality and durability. Plant Supporting Netare manufactured by best quality material and with the help of advanced technology. Their various advantages helps them to popular in the market. They are having various features some of them are listed here. 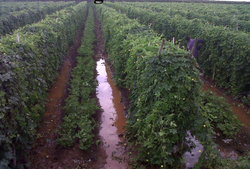 We are an accomplished organization which has gained name and fame in providing Plant Climbing Netto the customers. Manufactured using the best quality of material these nets has high sturdiness, long life, high strength and resistance to crack. Our offered product is designed using only top grade materials at state-of-art production unit. Moreover, we offer these products in various sizes in order to fulfill the clients' requirements. Looking for Climbing Plant Net ?